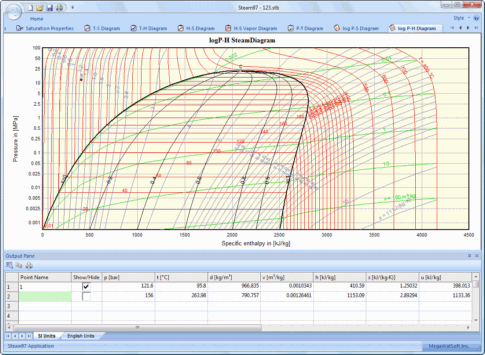 For 17 years, MegaWatSoft has been at the forefront of engineering and scientific software for calculations involving computational thermodynamics. 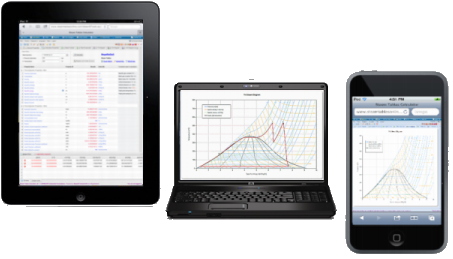 Our software has a goal of providing powerful and cost-effective software based tools for the scientist, engineer and student for calculating the thermodynamic and transport properties of fluids. Below is a summary of the currently available software for different platforms. Desktop applications and libraries are provided for calculation of thermodynamic and transport properties of water and steam, and humid (moist) air. For the following fluids only software libraries are available: carbon dioxide, R134a, R123, ammonia, methane, nitrogen and oxygen. The applications use the same calculation libraries as their corresponding desktop versions. See where some of our Customers are. Private/Personal Customers are not included. Copyright © 2002 - 2019 MegaWatSoft Inc., all rights reserved.